The City Year process is holistic, called Whole School Whole Child. This approach is implemented around a group of trained young adults and Corps Members, who give one year of their lives (sometimes more) to work in schools. The Corps Members give individualized support to at-risk students, while also establishing an overall positive learning environment. 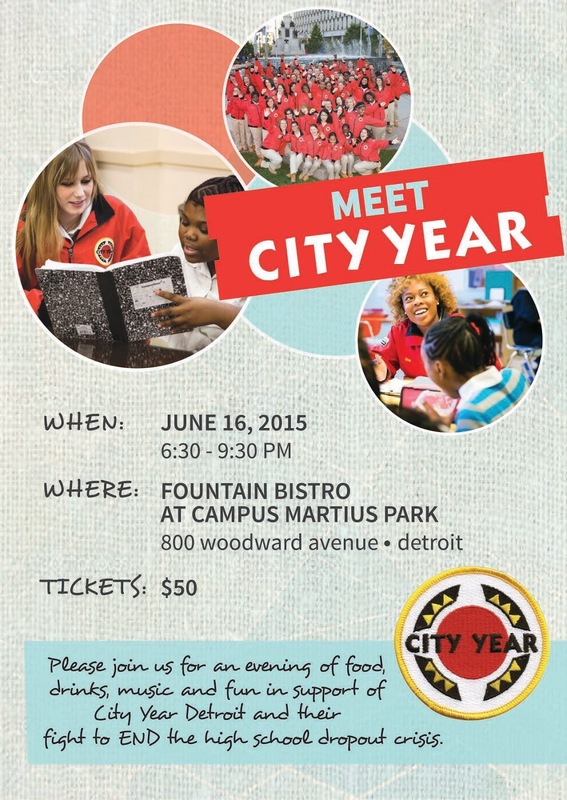 City Year works with schools to identify students most at risk for dropping out and providing them extra support. City Year uses early warning indicators (attendance, behavior and course failures in math and English) to identify these students between third through ninth grade. If students can make it to the 10th grade on time, they have 75% chance of graduating. 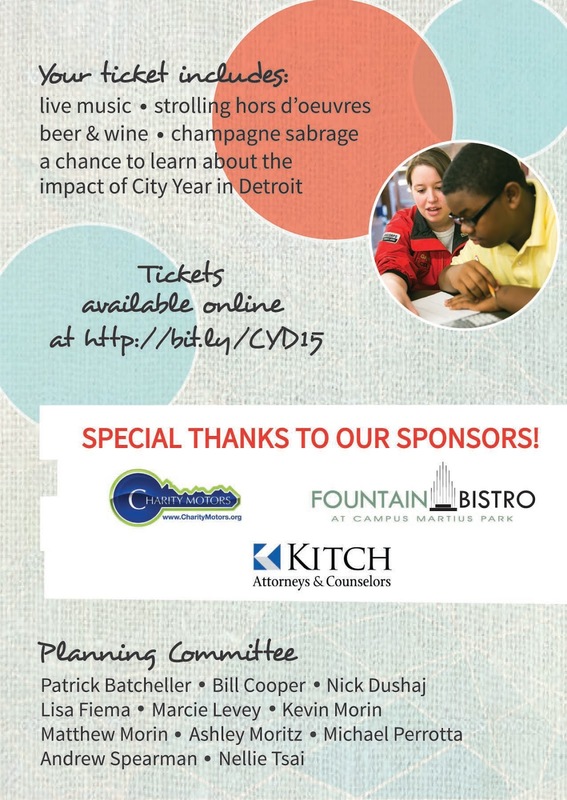 Please join City Year Detroit on June 16th 6:30pm- 9:30pm at the Fountain Bistro in Campus Martius to support a great organization that is making a difference in Detroit.